Want to Make Informed Decisions About Your Home? We’re Here to Share What We Know with You. When it comes to your home, making the right decisions for its improvement or solving re-occurring issues can be confusing and overwhelming! Whether you’re managing ten homes or 200, you want be able to make sound informed decisions when it comes to planning home exterior projects. That’s why at Xtreme Exteriors, we’d like to share what years of experience has taught us. By sharing what we know, you can be confident in making the best decisions when it comes to your home’s exteriors. Xtreme Exteriors has designed a series of Home Exteriors Educational Seminars that can provide insight into your home and how it should function. We’re available to give live, one-hour discussions, on any of the topics below at your next association board or management meeting. Simply sign up using the form below or contact us directly. All seminars are free of charge. The goal is to inform, not to deliver a sales pitch. It’s our way of giving you the opportunity to get straight answers to all your home exteriors questions and issues. 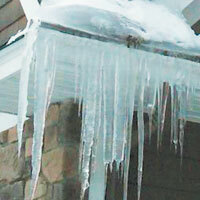 How do ice dams form in the first place? We’ll address conditions and factors that contribute to ice dam formation and discuss various solutions relative to your home’s condition that can help minimize this costly seasonal ice-cycle. Asphalt, Metal or Cedar Shakes? There’s more to roofing or replacing old roofs than materials. We’ll help you better understand how roofs should function and work as a system in conjunction with proper ventilation, attic insulation and more. Did you know the lack of proper ventilation could render your shingle warranty void? 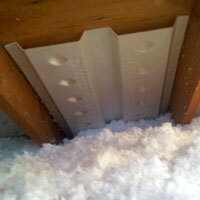 Or that proper ventilation is critical in minimizing ice dam formation during winter months? Learn these and other important factors about home ventilation. Vinyl, Composite or Fiber Cement? We’ll discuss the qualities and benefits of various siding solutions in relation to making your home energy efficient, maintenance requirements and more. Make Informed Decisions When It Comes to Your Home. At Xtreme Exteriors, We Believe an Informed Customer is a Satisfied Customer.